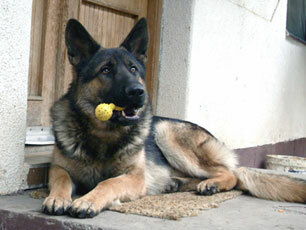 German Shepherd Lovers - Check This Out - My Very Own German Shepherd Dogs Favorite New Obsession - The Varsity Ball! 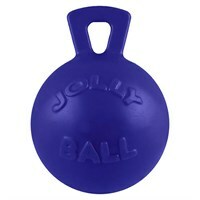 If your German Shepherd Dog or puppy is a ball lover, healthy and over 50 pounds in weight you really need to get them one of these! My GSD, Rodie, loves his (and that's an understatement)! And if you want to order one for your dog too, just be sure to click on the link below to order one now. We picked up our puppy on New Years Eve. She was 4 lbs 4 oz when we got her and now at 9 weeks she is 9lbs 8oz. She is so much fun and energic. We always say she is re-energizing every time she takes a nap. Here is a picture of her re-energizing.